The river Thames is London's most important yet neglected artery. When a young woman is found chained to a post in the tide, no-one can understand how she came to be drowned there. 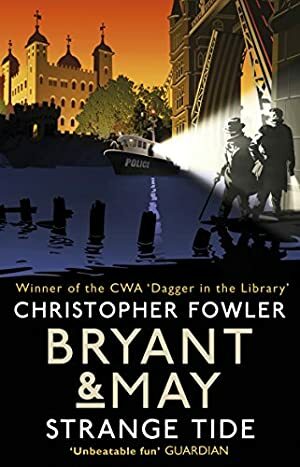 At the Peculiar Crimes Unit, Arthur Bryant and John May find themselves dealing with an impossible crime committed in a very public place. Soon they discover that the river is giving up other victims, but as the investigation extends from the coast of Libya to the nightclubs of North London, it proves as murkily sinister as the Thames itself. That's only part of the problem; Bryant's rapidly deteriorating condition prevents him from handling the case, and he is confined to home. To make matters worse, May makes a fatal error of judgement that knocks him out of action and places everyone at risk. With the PCU staff baffled as much by their own detectives as the case, the only people who can help now are the battery of eccentrics Bryant keeps listed in his diary, but will their arcane knowledge save the day or make matters even worse? Soon there's a clear suspect in everyone's sights - the only thing that's missing is any scrap of evidence. As the detectives' disastrous investigation comes unstuck, the whole team gets involved in some serious messing about on the river. In an adventure that's as twisting as the river upon which it's set, will there be anything left of the Peculiar Crimes Unit when it's over? We started tracking this book on October 12, 2015. The price of this book has changed 4 times in the past 1,291 days. The current price of this book is £4.99 last checked 4 hours ago. The lowest price to date was £4.99 last reached on June 8, 2017. The highest price to date was £9.99 last reached on November 1, 2015. We last verified the price of this book about 4 hours ago. At that time, the price was £4.99. This price is subject to change. The price displayed on the Amazon.co.uk website at the time of purchase is the price you will pay for this book. Please confirm the price before making any purchases.